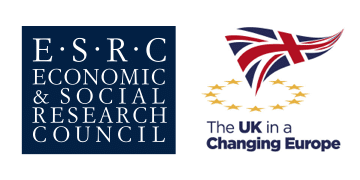 This conference is a partnership involving STEP and the Stronger Together Network, the BREXITLawNI project, and the Equality Coalition (a network of equality NGOs co-convened by CAJ and the trade union UNISON, who are also engaged through the UNISON BME members group). The conference will inform policy papers being prepared by the BrexitLawNI team on the issues of freedom of movement and migrant rights. We are grateful for support from the George Mitchell Institute, Human Rights Centre and Institute of Criminology and Criminal Justice (ICCJ) at Queens University. 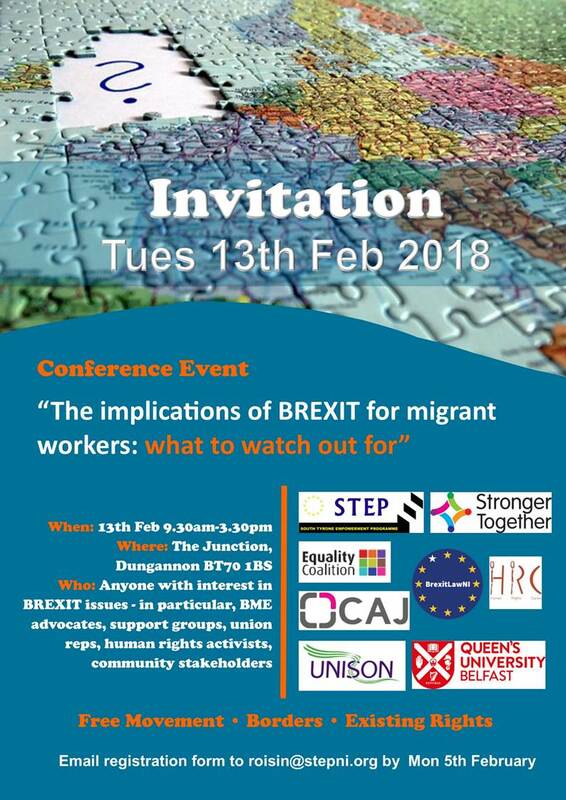 The conference is aimed at anyone with a key interest in the implications of BREXIT and specifically implications on Migrant Workers. This group will include BME advocates and support groups, union reps, human rights activists, community stakeholders, NGOs, policy makers, community & voluntary organisations, public sector representatives, employers etc. Attendance at the conference is free but as places are limited to 100, we request that delegates are willing to be proactive in sharing their views and experience. Please note that this conference has a limited number of spaces and therefore registration should be completed as soon as possible.